More kitten pictures. 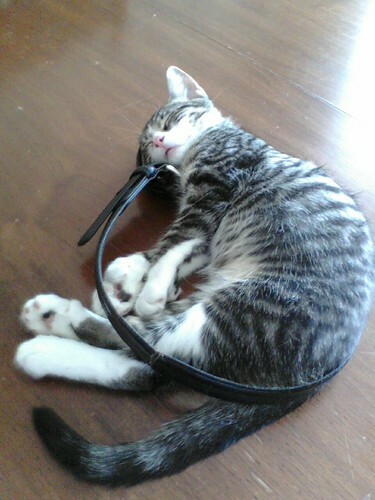 This is Thunder Cat sleeping on hubby’s belt on the table. He looks so cute. 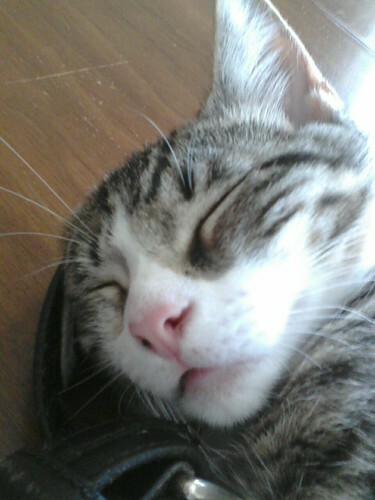 oh..so cute cat… ^_^ You do really have a great blog! I love to be here every now and then. anyway i want to invite you to join our new community http://girlstalksociety.com where in you can share your blog posts, create new groups, meet new friends and you can even be a moderator there if you want to, so we can feature your site in the gts spotlight. just do let me know by pm…my username there is prewchatterly. Lets help each others blog have better rankings. by the way this october we will be having our everyday BLOG HOP AND MEME feel free to join in your free time Godbless you! hope to see you there.